Are you looking for the perfect home security solution that won’t leave you out of pocket? Look no further than our 7mm aluminium diamond security screens and doors! At Vincent Security, we understand that investing in a top of the line security system is not a luxury that every homeowner can afford. As homeowners have different needs and priorities when it comes to home security, we’ve developed a range of mid-duty 7mm aluminium diamond security screens and doors that won’t require you sacrifice security for affordability, or vice versa. Boasting great value for money and all the functionality you look for most in a security system, our mid-duty welded aluminium screens have been modelled off a timeless design developed in the 1950’s, with a wide-selection of improvements made to the performance and visual aesthetic. Given the traditional origins of the mid-duty screen, it is no longer considered a security barrier, as according to Australian standards, however, its functionality and practicality are second to none on the Brisbane market today. A vast majority of homes across Brisbane were designed solely for the purposes of adapting to the climatic features of Queensland; namely hot summers and frequent rain. One of the most important features of a well-designed home is its ability to remain at a comfortable temperature in the depths of a hot summer. Often, this requires leaving the doors to your home open and this can invite unwelcome insects and pests into your home. The perfect solution is a mid-duty aluminium screen as these provide the benefits of a cool breeze, without the typically associated visitors. Not only will this make your home more comfortable, but also it will improve the efficiency of your house and likely lessen your energy bill. 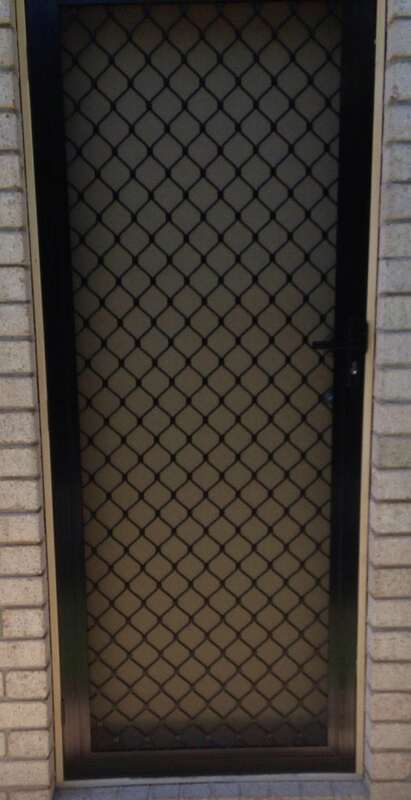 As industry specialists in manufacturing and installing 7mm Aluminium Diamond security screens and doors in Brisbane, Vincent Security knows exactly what it takes to provide a seamless and quality installation service, from start to finish. Brisbane’s property market contains a considerable number of iconic ‘Queenslander’ style homes. These homes reached their peak at a similar time to that when the mid-duty aluminium screen was first designed and as such, the two often go hand in hand. 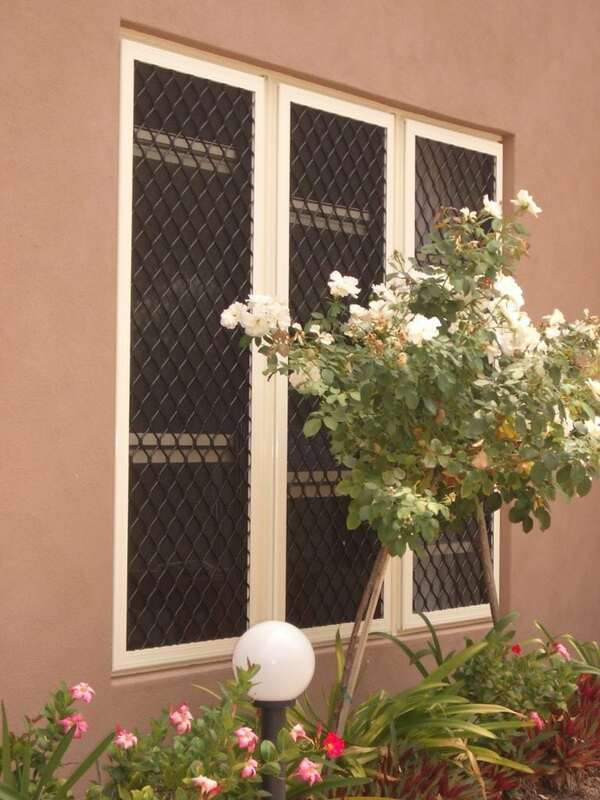 The quintessential Queensland style can be reintroduced to your home with the simple addition of a Vincent Security mid-duty aluminium screen. Our extensive production facilities include powder-coating instruments, and this means that your mid-duty aluminium screen will have an immaculate finish and has the capacity to give your home a facelift. It is not only these older styles of homes that are suited to these products, however. 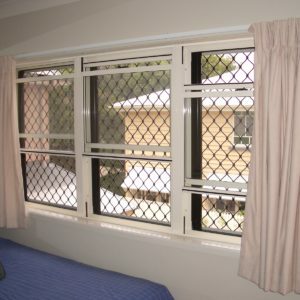 Many modern designs can also benefit from Vincent Security’s 7mm aluminium diamond security screens and doors in Brisbane. As with all our products, we at Vincent Security demand the highest possible quality. In manufacturing our own goods, we can closely scrutinise the quality of all finished products and guarantee that only the finest components are used in their construction. Our wide selection of powder-coating options offers the perfect balance between visual aesthetic and enhanced durability. Corrosion or discolouration can be a major issue with the aluminium screens offered by some of our competitors and for that reason, we take all available precautions to prevent this. Using Dulux or Interpon paints, we have created a mid-duty welded aluminium screen that requires little upkeep and is highly resistant to rust, discolouration and even excessive dust. When you purchase from Vincent Security, your experience will likely start in the showroom where our knowledgeable and experienced professionals will clearly guide you through the available products and offer you the most up to date and relevant advice. 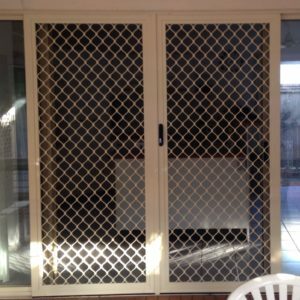 Upon making your decision, you can rest assured that our team of adept and highly trained professionals will manufacture and install your 7mm aluminium diamond security screens and doors in Brisbane. Where the security of your family is concerned, you can rest assured that Vincent Security will offer an installation service truly unmatched in professionalism, attention to detail and quality. 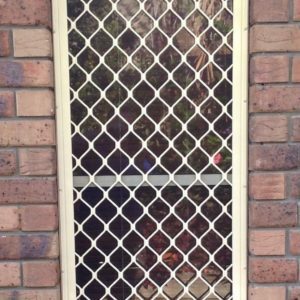 If you’re looking for the right security solution to offer maximum home security while still providing genuine value for money, our innovative 7mm aluminium diamond security screens and doors in Brisbane are just what you’re looking for. To find out more about our services or to book in a free measure and quote, please contact our team today on 07 3849 4555. Our VS welded aluminium screens have been produced with one main factor in mind; security. Securing your home is our job and we take it very seriously. This is the principle upon which we created our VS range and there are a number of distinct features that ensure our VS aluminium screens remain the best in Brisbane. These features place our VS products at the top of the market and we consistently ensure that they remain in compliance with the high benchmarks set by Australian standards. Our Very Strong screens have a unique design that accounts for the numerous ways in which an intruder might attempt a forced entry. The strength of our design is sourced from a number of factors and begins in what could be referred to as the ‘backbone’ of a screen door – its frame. VS screen doors have a deliberately heavier serrated frame to which the 7mm aluminium mesh is attached. The attachment is achieved by means of an expertly applied weld that penetrates deep into the frame so as to ensure that it can withstand high impact, including kicks and other such applications of force. At Vincent Security, we recognise that even with the best design, a security screen would be somewhat ineffective without the best quality components. For this reason, we have sourced the best mechanisms and constituent parts that Brisbane’s expansive security industry has to offer. This includes most notably, Lockwood’s ultra strength triple lock system and the new VS interlock system on sliding screens. This Lockwood lock is the strongest in its class and is capable of withstanding a wide variety of attacks, which guarantees you optimum security. The VS interlocking system is unique to our Very Strong products and has twice the engagement of a standard interlocking system. This fortifies the sliding Very Strong welded aluminium screens securely in their tracks. We have included such advanced measures in this system to safeguard against the rear of the door being pulled out – an inherent weakness in many of our competitors’ products. As with the components, a perfectly designed screen will not perform to its highest possible capacity if it is installed incorrectly. For this reason, we operate with only the highest trained security installation specialists in Brisbane. Our professionals will take every precaution possible to ensure that our products are not only unmatched in strength, but also in installation. This includes using only the best means by which to fasten the hinges of our Very Strong welded aluminium screens to the doorjamb. When installing a VS door into a timber jamb, you can rest assured that we will use specialised locking plates and hinges that incorporate twice as many screws as a standard installation. This reinforces not only the screen, but also the doorjamb by up to five times the average.